The news that the secretary of tourism for the Mexican state of Jalisco, which includes the popular tourist destinations of Lake Chapala and Puerto Vallarta, has been assassinated has sent shock waves around the country. José de Jesús Gallegos Álvarez was walking to his Toyota Highlander at around 3:15 pm on Saturday March 9 in the Zapopan neighbourhood of Guadalajara, the state capital and Mexico’s second largest city, when he was shot multiple times. Investigators found at least 25 spent 9 millimeter cartridges at the scene. It is thought that the assailants may have first deliberately crashed into Mr. Gallegos Álvarez’s vehicle to distract him. Gallegos Álvarez, 47, had just met with other members of the cabinet of the newly-elected PRI governor Jorge Aristóteles Sandoval to assess his first 100 days in office. The secretary himself had only held his position for nine days. The tourism secretary, a property developer, was killed outside of the Torre de Hierro building, which was one of his projects. His chauffeur and another individual travelling with him were wounded in the attack. Four people have been arrested in relation to the murder, which had at least 40 witnesses. As well, the secretary of state for Jalisco, Arturo Zamora Jiménez, said in an official statement that, as a result of the preliminary investigation, the government believes Mr. Gallegos Álvarez was killed as a result of a dispute related to his “business and economic activities”, and that it had nothing to do with his role as a politician. Part of the reason for this theory was the use of a 9 millimeter handgun, which is not typical of drug cartels known for using heavier weapons. In and of itself, however, that hardly argues for the lack of involvement of organized crime. As well, to assume that there is some sort of impermeable barrier between the drug cartels and other forms of criminal activity might best be described as naive. Violence related to tourism in Jalisco has been in the news of late. 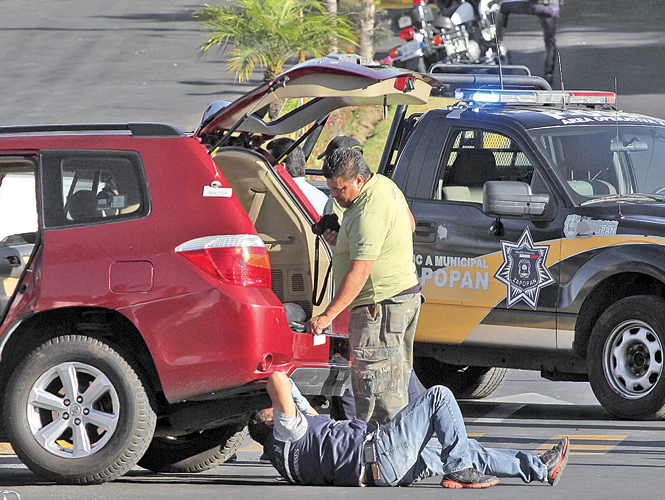 Last week the American Bentley Main died after being attacked in his home in Lake Chapala.